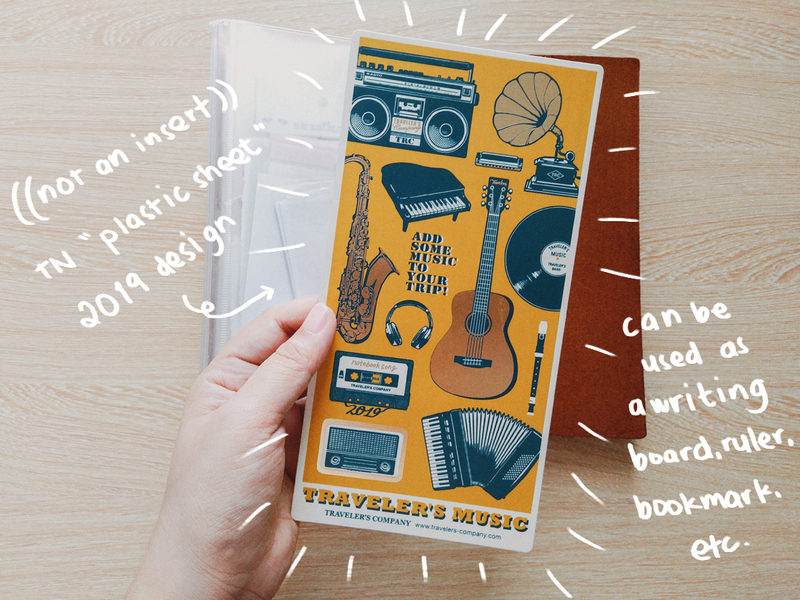 No surprise here, but my 2019 journal is a Traveler's Company Traveler's Notebook! Last year I used the Passport TN, but this year I moved into the Regular. I couldn't be happier. 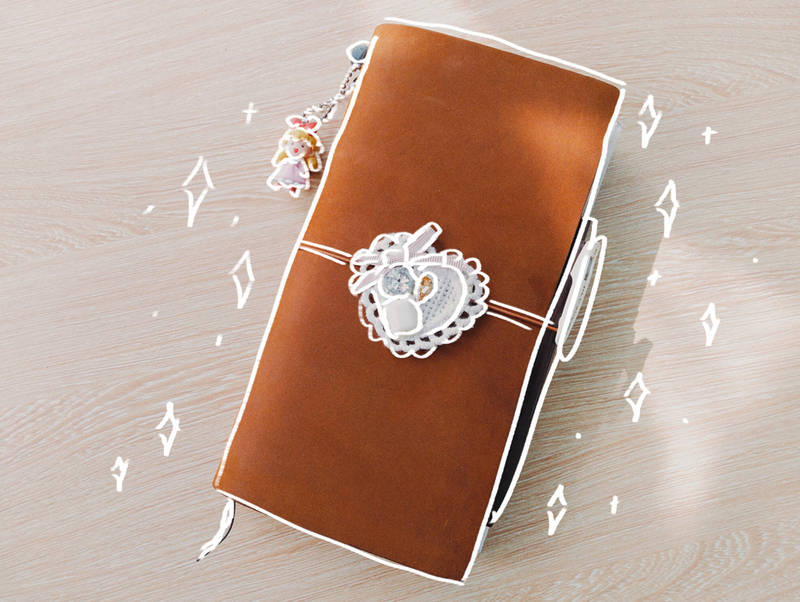 My favorite part about the Traveler's Notebook is that you can customize it in however way that would fulfill your needs. 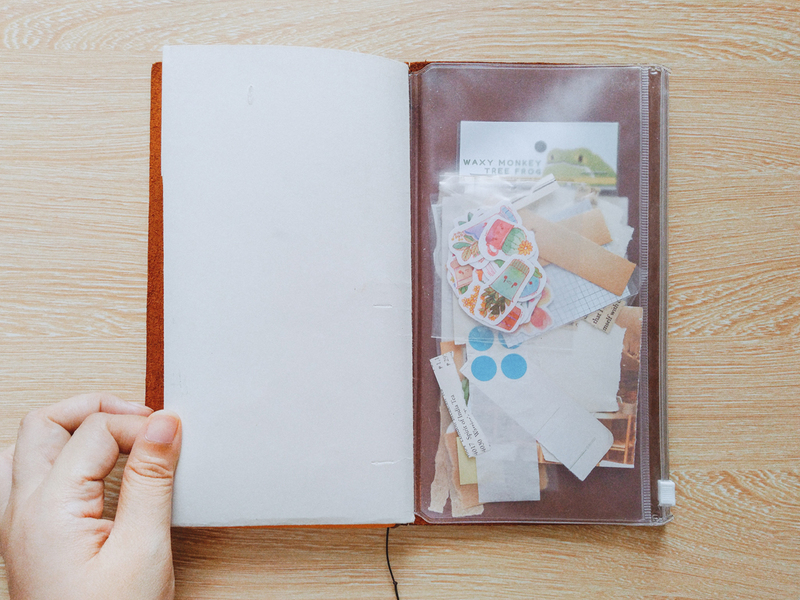 I know a lot of people like having separate planners and notebooks and journals, but I personally prefer to only keep one. 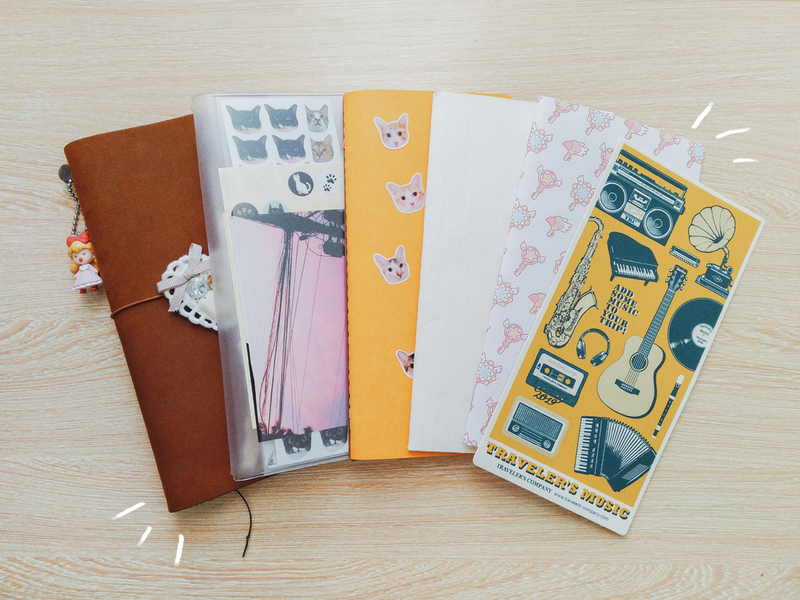 In that sense, I wanted my TN to be a "catch-all" notebook for everything. My Traveler's Notebook plus all my current inserts. The very first insert in my TN is a Zipper Case. I use the 008 Refill. A plastic refill with a zipper case on one side and a pocket on the other. 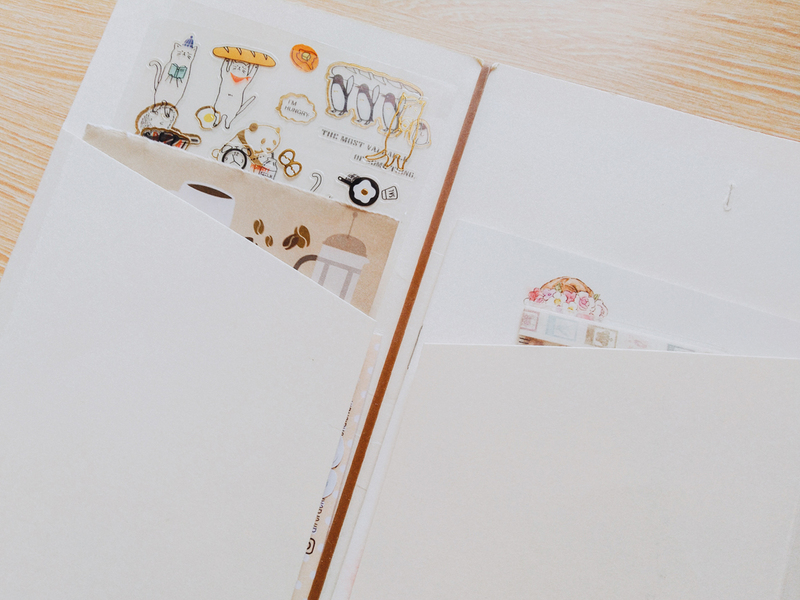 The plastic itself is of very good quality, but there are stores that sell cheaper versions of these (this one was P275 at Scribe) if you just need a place for storing ephemera. (I was already at the store so I bought it anyway lol.) 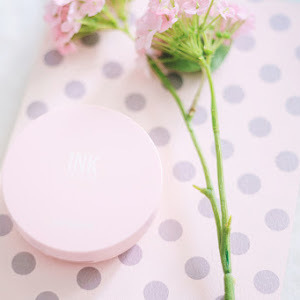 I know some people who use their TN as a wallet, you can do that with this refill as well. 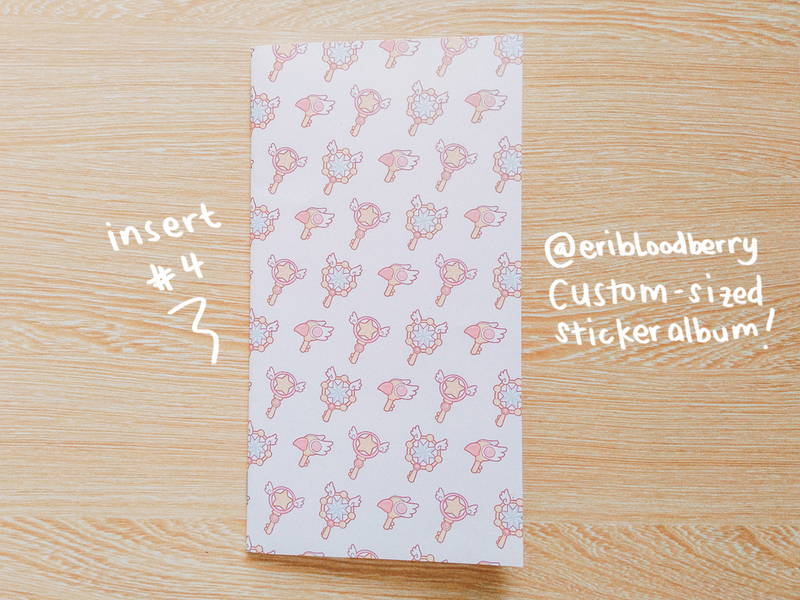 For me I use it for keeping sticker flake packs, sticker sheets, paper scraps, etc. My second insert is a grid notebook. 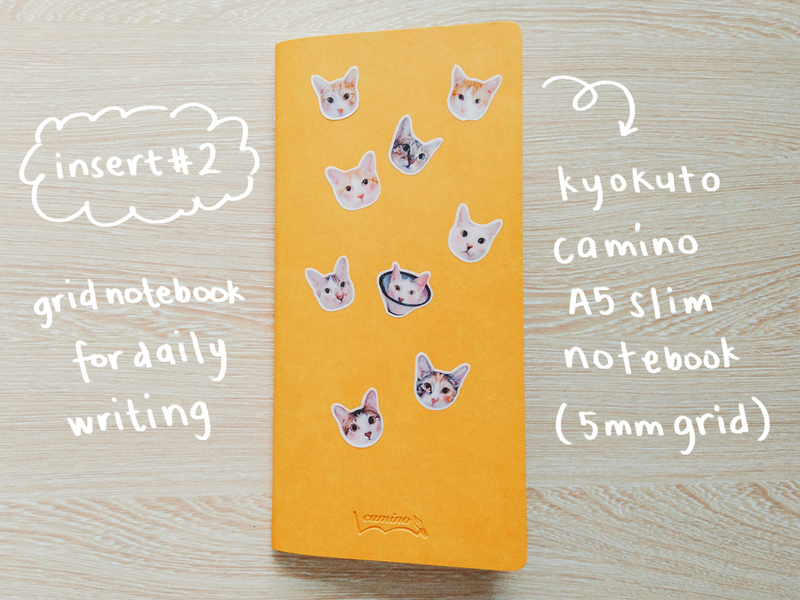 I'm using the Kyokuto Camino A5 Slim with the 5mm grid. 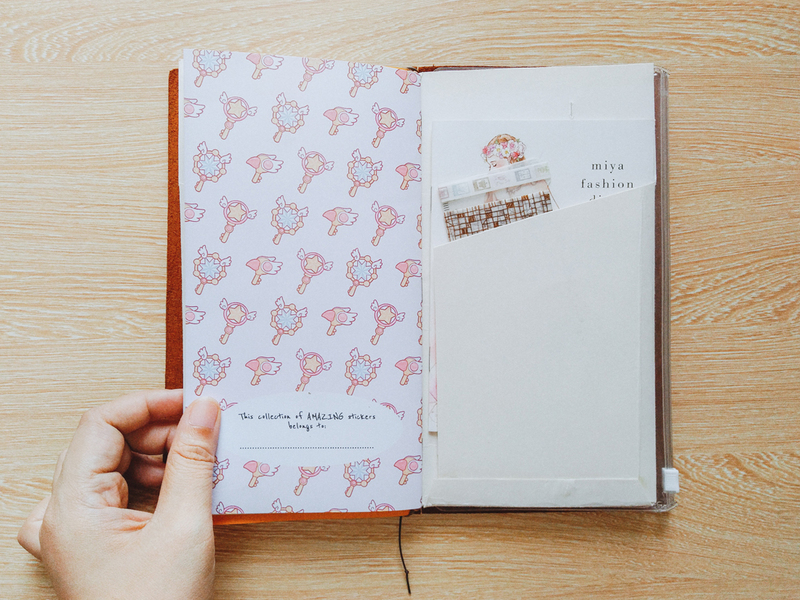 This is my main journal for daily writing, but I use it for notes as well. My catch-all. 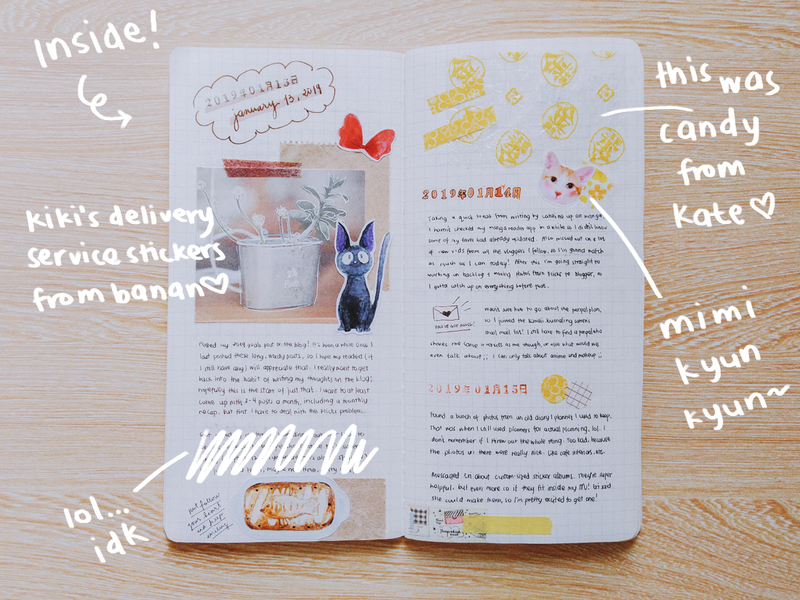 Before this I used a Weekly+Memo Diary (Refill 019) for daily writing, but I found the space too limiting. I have days where a lot of stuff happens and I have days where nothing happens at all, so my pages would be either super packed or just blank. Because of this I decided to move onto using a grid notebook, which I find fits me a lot better. My only issue is with the notebook that I'm using. The paper on the Kyokuto Camino rips a lot more easily than MD Paper. 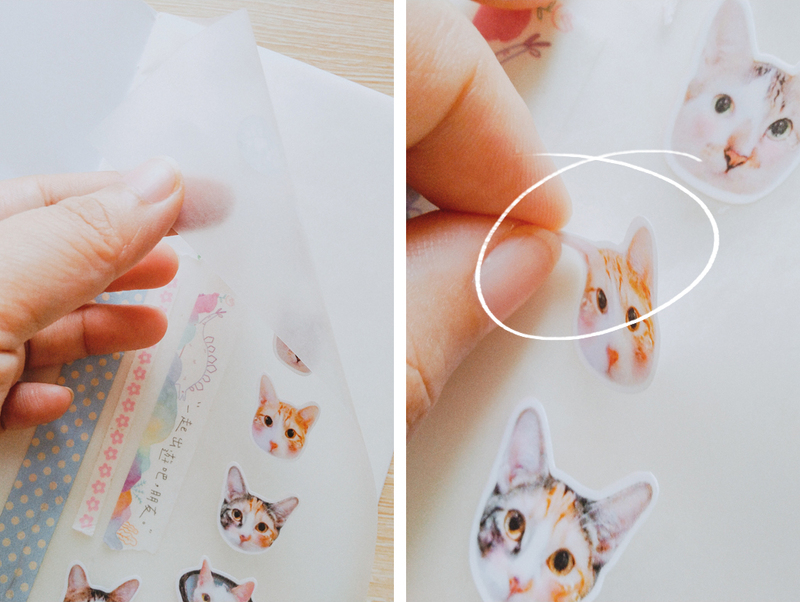 I can be very indecisive when placing stickers and washi tapes, and I've noticed parts of paper coming off when I peel them off. I've noticed the paper getting damaged really quickly when I was using a water brush on watercolor pencils, too. 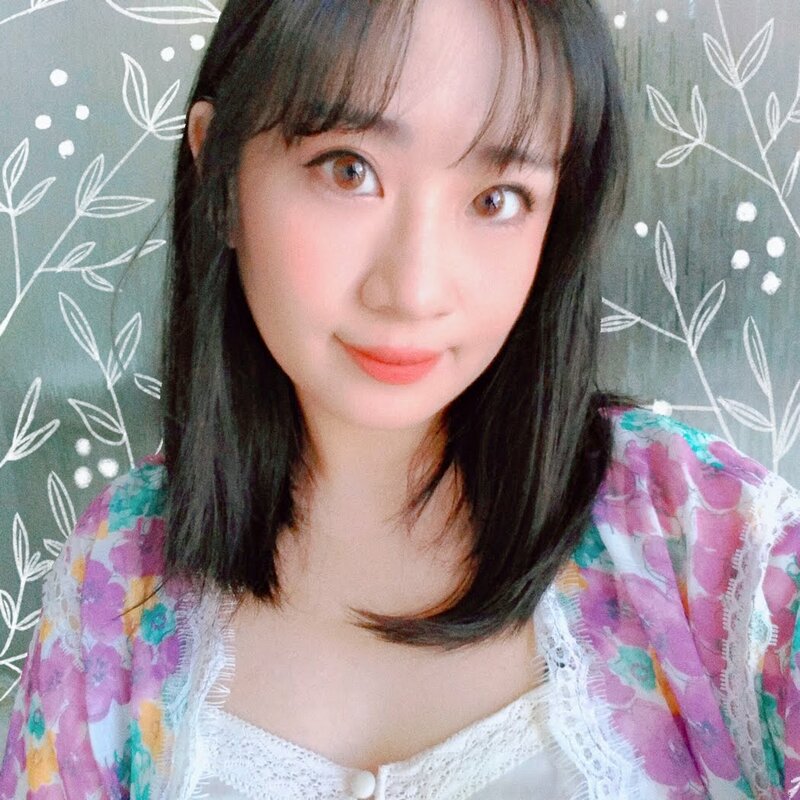 Disappointing, but what can I do? I plan on switching to a Grid Notebook (002 Refill) as soon as I finish this one. Next is a folder insert, for holding even more ephemera! Anything that's too big for the zipper case goes here. 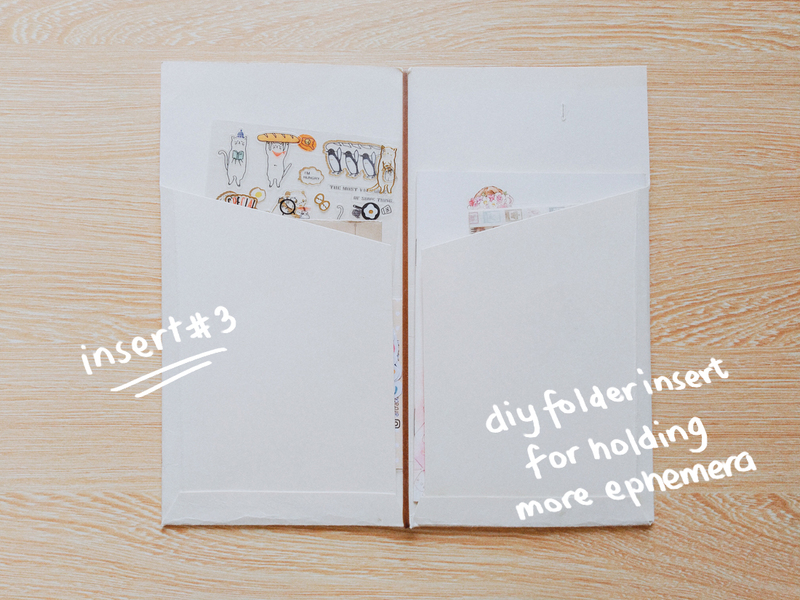 The Kraft Paper Folder (Refill 020) is P225 on Scribe, so I opted to just DIY one. I used one of the folders lying around at home and followed this pattern. Not sure I did a very good job at it, but as long as it serves its function, I guess! 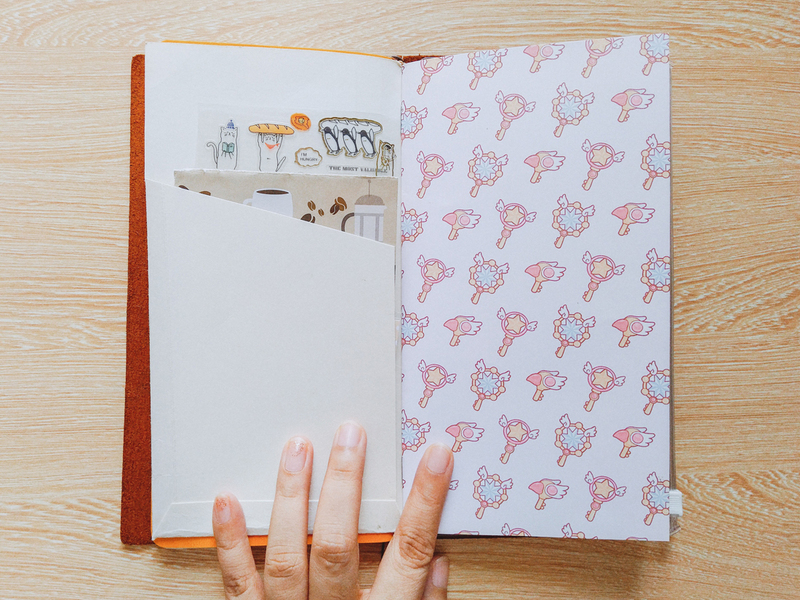 Last but not least, the newest addition to my TN system—a Collector's Blank Sticker Album by Eri BloodBerry! She makes these A5-sized sticker albums and sells them at local cons. 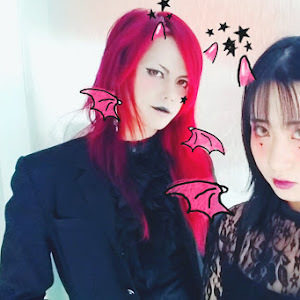 She was kind enough to gift me one last Cosplay Mania, and it's been helped a lot in keeping my stickers organized. 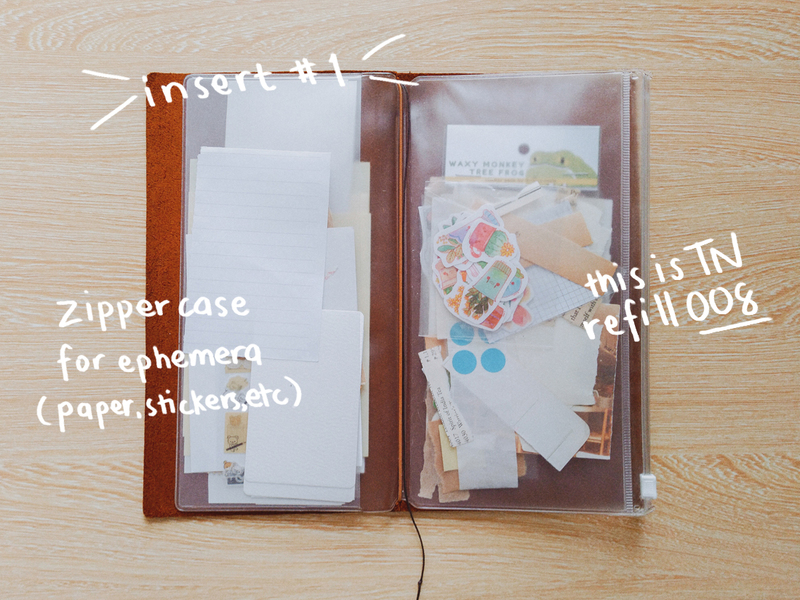 For this one, I requested for a custom-sized album that would fit inside the regular TN. So happy I finally have it! 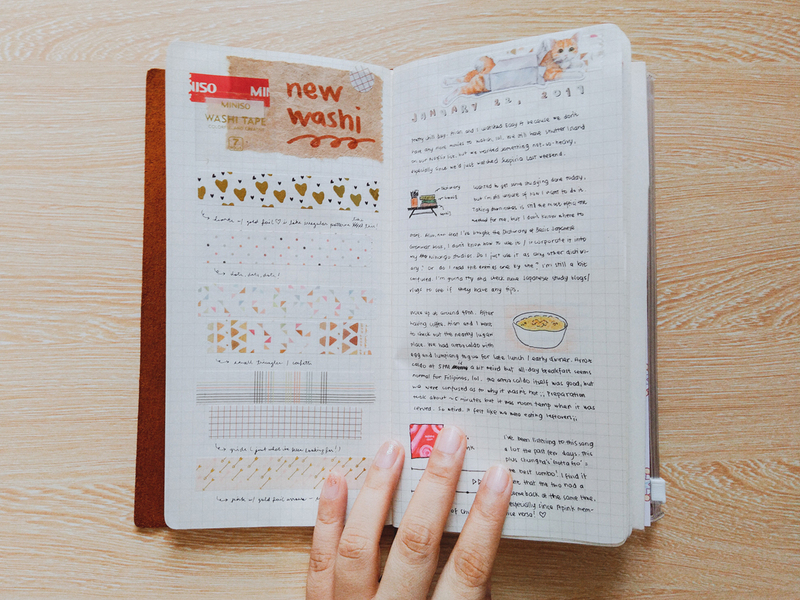 It's super useful, especially if you like to journal on the go. 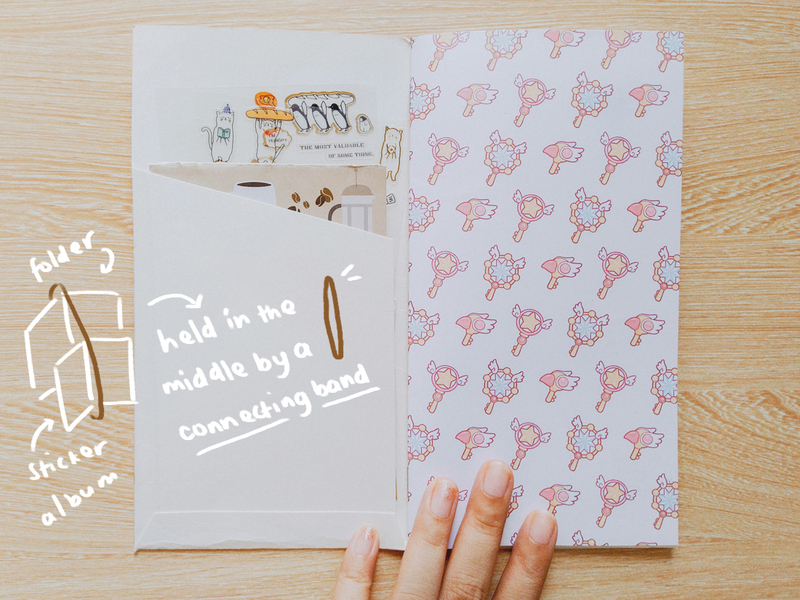 I like to keep scraps of washi from packages and such, and sometimes I cut tape too but end up deciding to use them, so I keep them all here. 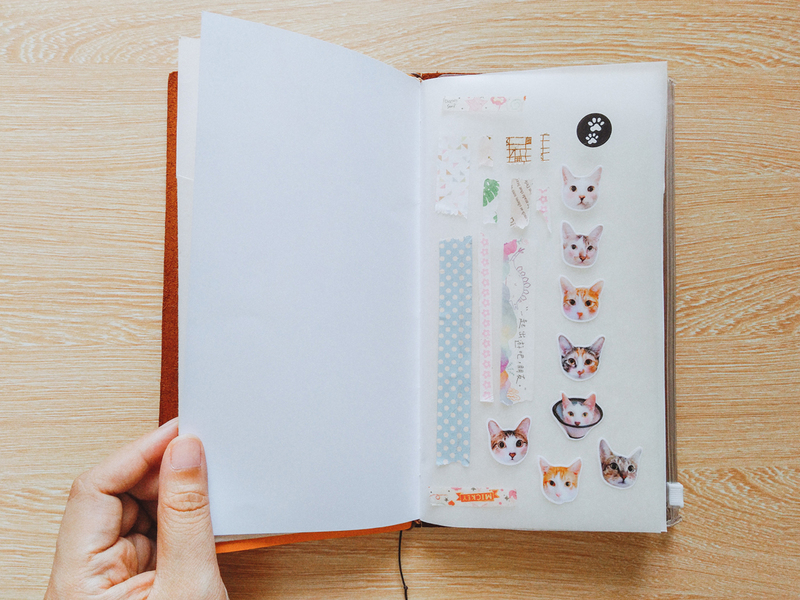 The pages are paraffin paper, so you can stick the stickers on and peel them off when it's time to use them. 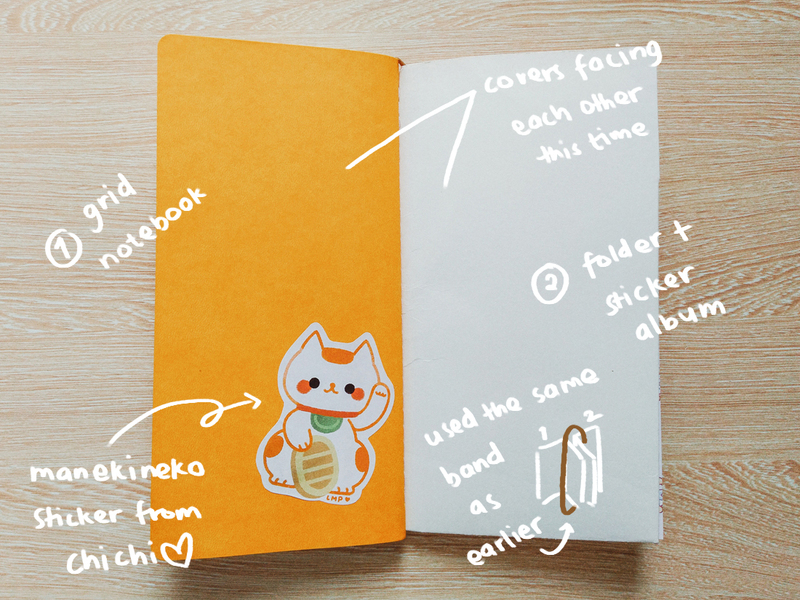 I haven't moved my frequently-used stickers into it yet because I just received it, but I plan to do that soon! Technically this isn't an insert, but I like to keep it in my TN at all times. Traveler's Company calls it a Plastic Sheet, and it's basically just that. 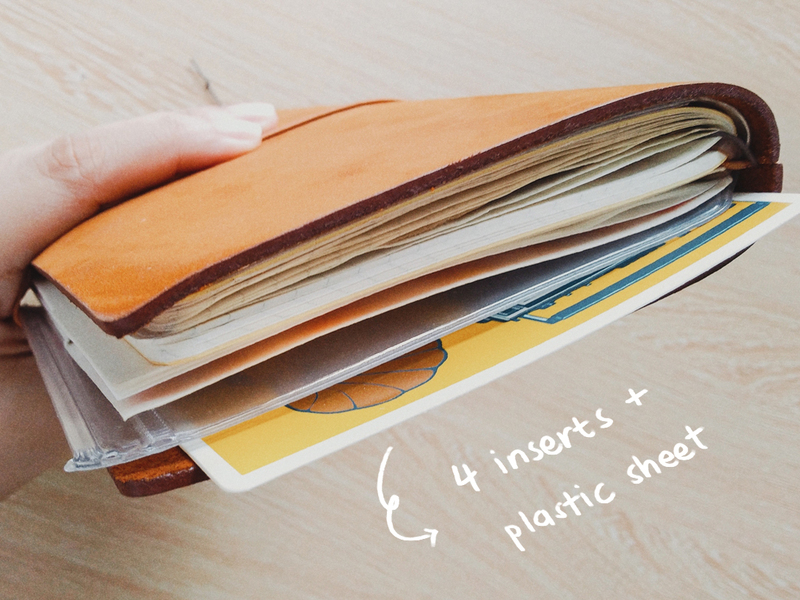 It's a thick sheet of plastic that you can use as a writing board, ruler, bookmark, etc. 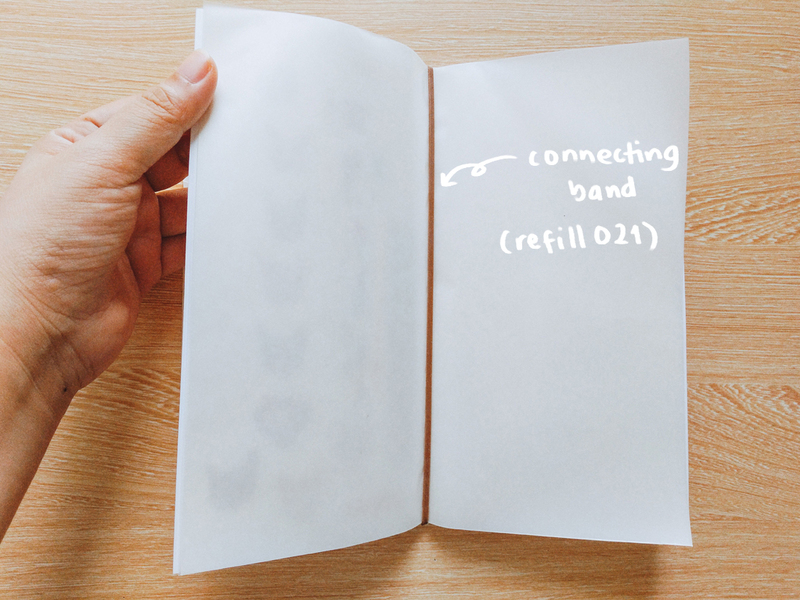 On the back is a 5mm grid that you can use as a guide for writing on blank notebooks. 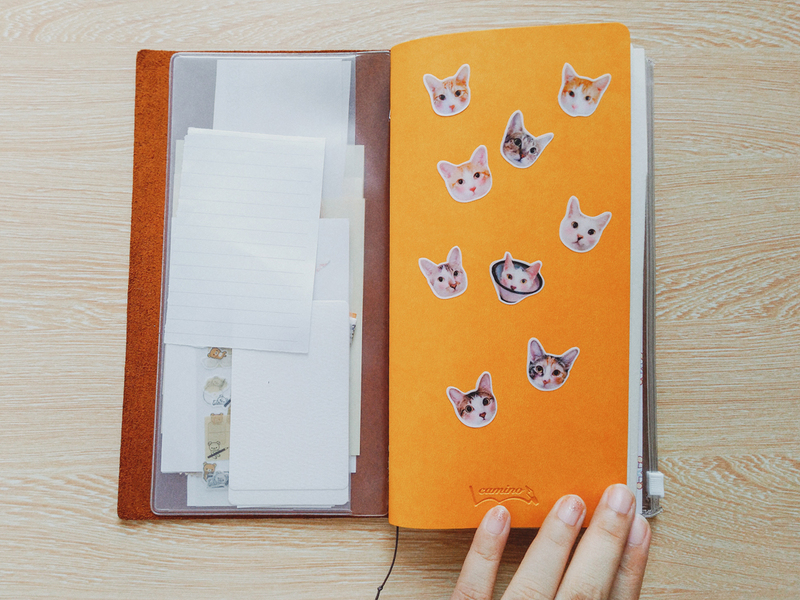 I use it for when the page underneath the one I'm writing on is uneven from stickers and such. Because I had four inserts, I had to figure out a setup that would work best. After some trial and error and A LOT of switching things around, I finally came up with a setup that I was happy with. 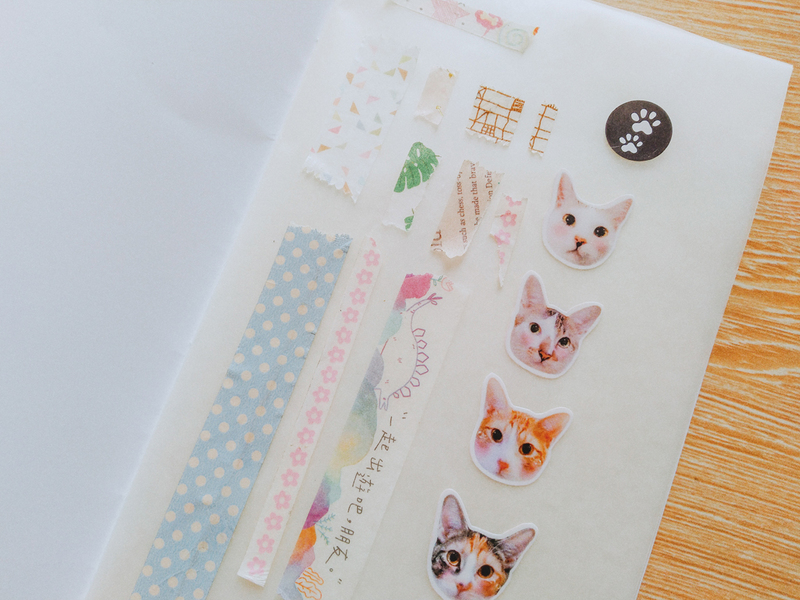 Like this, my folder and sticker album are going to be just one insert. 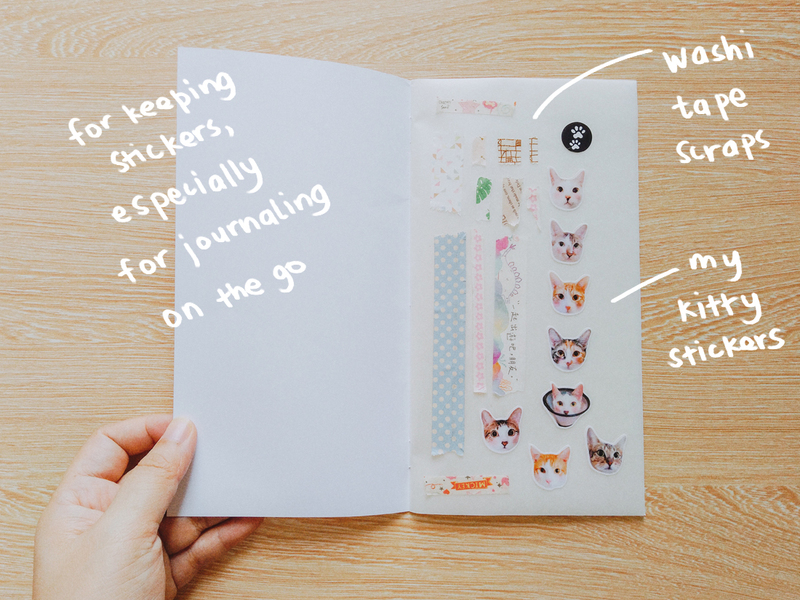 This works well for me because I can have most of my stickers in one place. My very first insert is the zipper case. I think keeping this particular insert on the outermost "layer" is the default. I have yet to see anyone placing it anywhere else. I keep the pocket on the left side. After that is the three insert setup from earlier. and then the second flap of the folder insert. Ah, by the way! 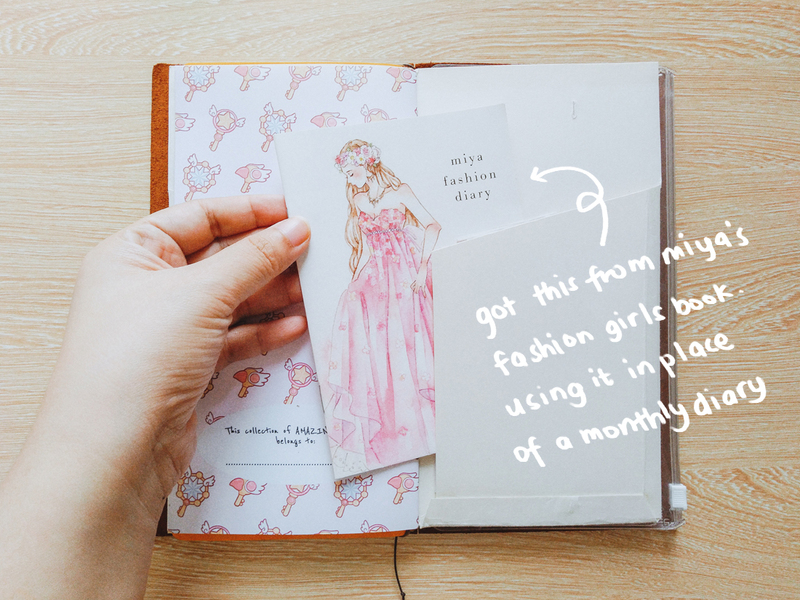 I also have this monthly planner from Miya's Fashion Girls book. I got it two years ago, but it didn't fit my Passport TN so I didn't use it. It doesn't fit my Regular TN either, so I keep it in the folder. 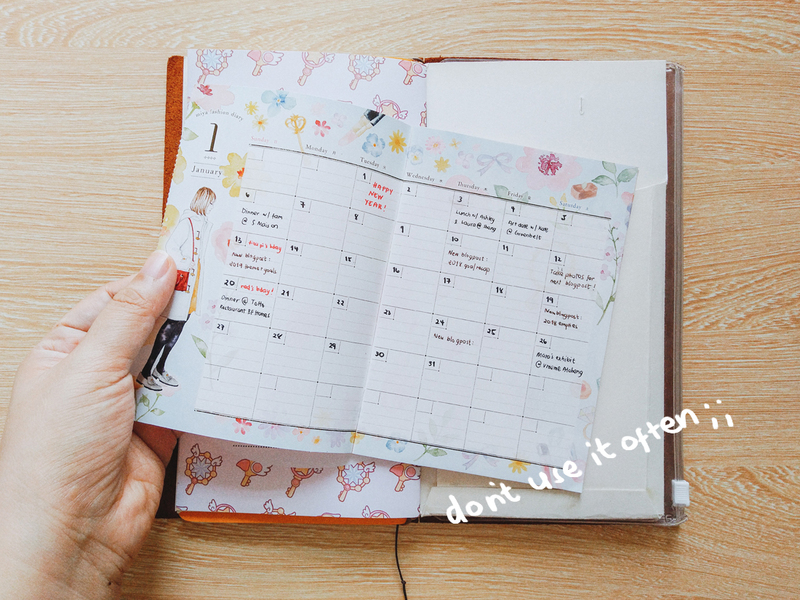 I noticed that I didn't really use my monthly planner from last year often, so I decided not to buy one this year and use this one instead. Lastly, the zippered part of the zipper case. I like to keep this one on the right side because it feels the most natural for me. 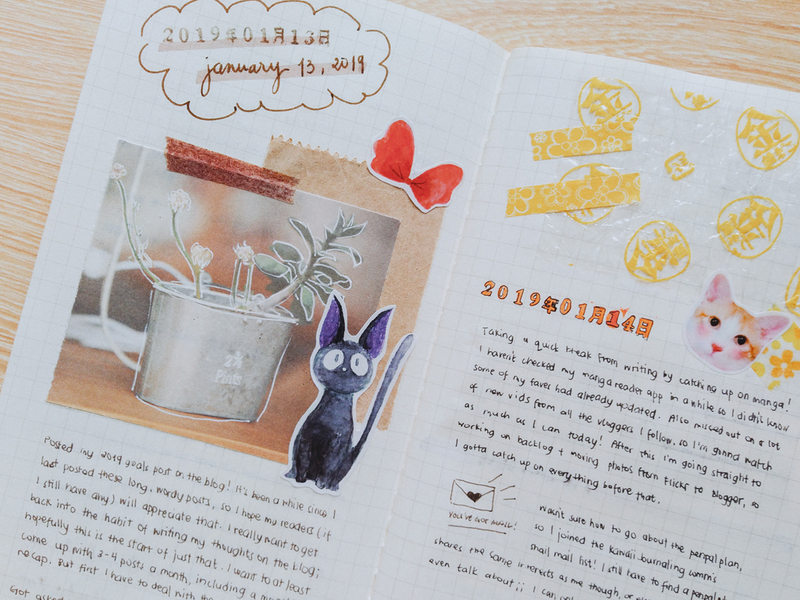 What journal are you using for 2019? 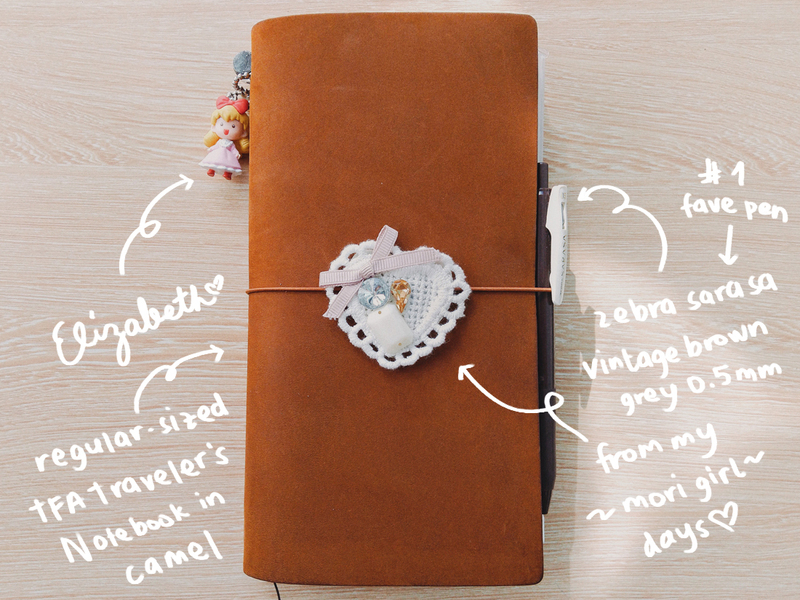 Do you own/use a Traveler's Notebook as well?